Today, surgical procedures are so advanced and precise that we can fix the heart of a fetus, separate conjoined twins, replace organs, attach limbs, even restore a face. But it took millennia to reach this stage. 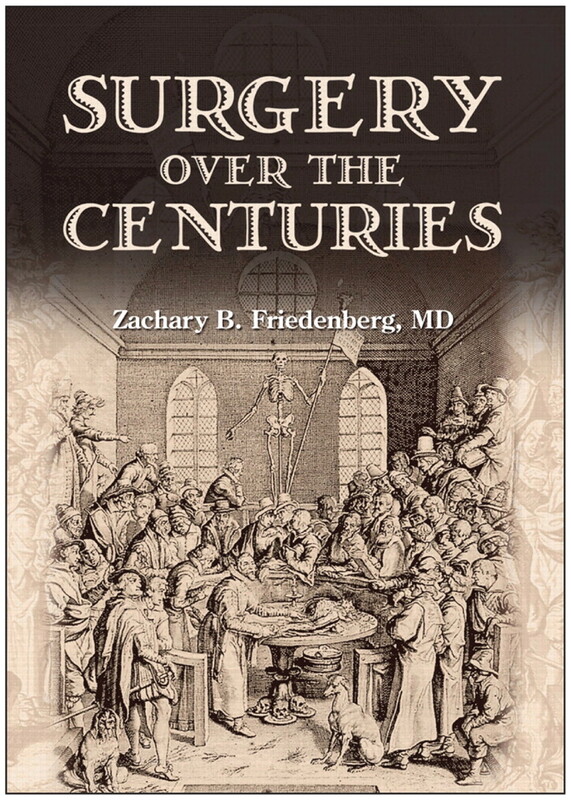 In Surgery Over the Centuries, Dr. Zachary Friedenberg, a professor of orthopedic surgery at the University of Pennsylvania in Philadelphia, offers a fascinating introduction to some of the individuals, practices and developments from the Neolithic Age to 1800 AD that paved the way for 21st-century microsurgery. In 17 chapters that span ancient Egypt, China, India, Greece, and Western Europe, Friedenberg outlines how physicians furthered the discipline’s understanding of the body and the improved surgical treatment of disease and suffering. For example, the first ‘surgeons’ practised in the Neolithic period, drilling a hole in skulls, probably to allow an evil spirit to escape but likely unknowingly treating epilepsy, headache or insanity, Friedenberg explains. Surprisingly, he adds, more patients recovered than died from the procedure. In Egypt, about 3000 BC, surgeons were immobilizing fractures, excising tumours and suturing wounds with linen thread. But what is most significant in the development of surgery, Friedenberg notes, was how the mummification of bodies taught surgeons about anatomy, improving their diagnosis and treatment of the living. Image courtesy of Janus Publishing Co.
Indian surgery (circa 400 BC) expanded the scope of the discipline by reconstructing body parts, missing because of the judicial practice of removing the nose and parts of the ear as punishment, Friedenberg writes. Surgeons rebuilt the nose, for example, by inserting two small pipes to create nostrils, then suturing skin from the cheek, in the shape of a leaf. Galen, who became personal physician to Roman Emperor Marcus Aurelius in 168 AD, focused on the anatomy of the body and its physiology. His dissection of animals allowed him to study the beating heart, the respiratory system, nerves and paralysis. But, as Friedenberg notes, Galen did not understand why arteries and veins both carried blood, and he divided the body into three essential spirits originating from the liver, brain and heart. By the medieval period, the practice of medicine and surgery had separated from magic and religion. Surgeons were craftsmen, frequently barbers, and they often accompanied the military to provide treatment near the battlefield. An English surgeon treated successfully a stab wound sustained by Prince Edward of England in Palestine during the Crusades. In focusing on surgeons, their medical understanding and their treatments, Friendberg misses the voice of the patient. Allowing the use of the scalpel was certainly a treatment of last resort. It would be interesting to know what the public’s view was of the surgeon and how it changed over time. Surgery Over the Centuries will appeal to readers interested in a short, introductory history of the people who moved surgery from superstition to science. Those who want more depth would be better served choosing a book that focuses on a specific time period, location or surgeon. Shelley McKellar, author of Surgical Limits: The Life of Gordon Murray (University of Toronto Press; 2003), is currently writing a book on the history of artificial hearts.